How are you doing XXXX? But are we downhearted? NO!!! And why...? 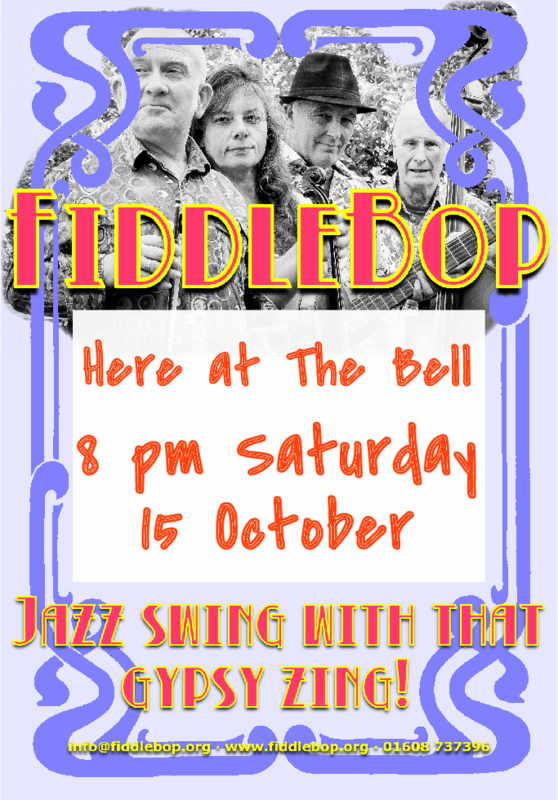 Because FiddleBop have plenty, nay oodles, of summer-redolent "hot jazz Jazz with Gypsy zing" for you. And does that make me happy! Starting with tomorrow's gig — that's Sunday 2 October — at Le QuecumBar "The World's Premier Django Reinhardt Gypsy Swing Venue" (they said it, not us...). Take a look at the pic on the left: what a smashing place to play! 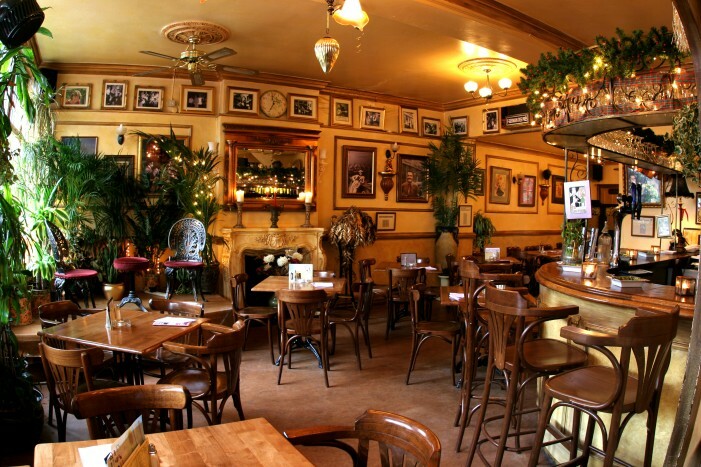 Le Que is at 42-44 Battersea High Street, London SW11 3HX. Tickets are £8 in advance, or £11 cash on the door. Arrive at 6 pm for some of Le Que's great food and drink ("food that's hearty not haughty"), and we'll be playing from 8 pm. 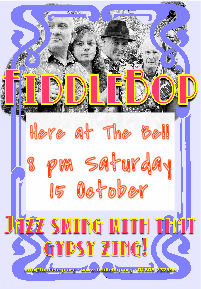 Here's a review of a previous FiddleBop-at-Le-Que gig: "... well known jazz classics with a hint of original numbers thrown in to mix it up a bit. The beautiful blended sound of violin, guitars, vocals and double bass made for a calm dining listening and for dessert these guys made sure to bring some swing which had many customers dancing off their dinner! Not only were the band musically talented but had a sense of humour and charm too, each song was introduced with a little anecdote of fact and fun!" 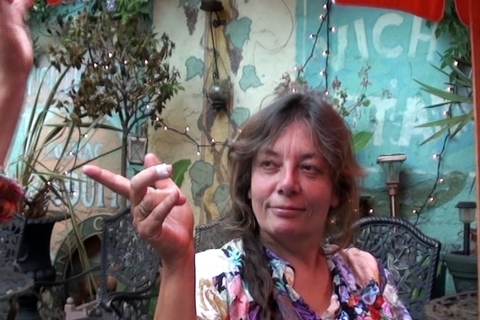 And here on the right is Jo in Le Que's garden. See you there? 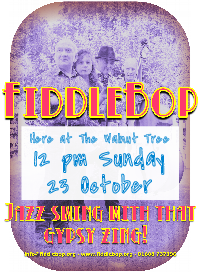 And on Sunday 23 October, from midday, we'll be once again at The Walnut Tree Inn, Blisworth (21 Station Road, Blisworth, Northants NN7 3DS) which is the redoubtable Tad Newton's far-famed Sunday Jazz Club. 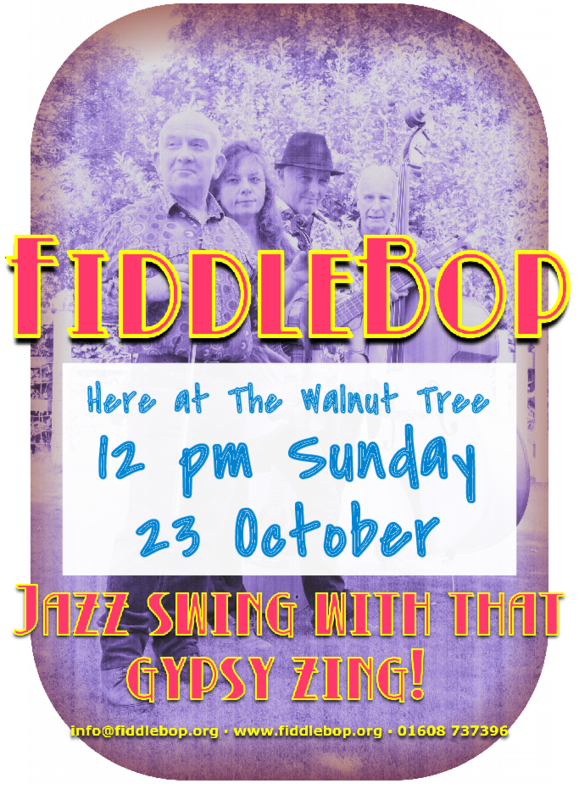 So if you fancy some hot-hot-hot "jazz swing with that gypsy zing" with your Sunday lunch, here's your chance... Tickets are £8. We're looking forward to this gig, lots! There's more! 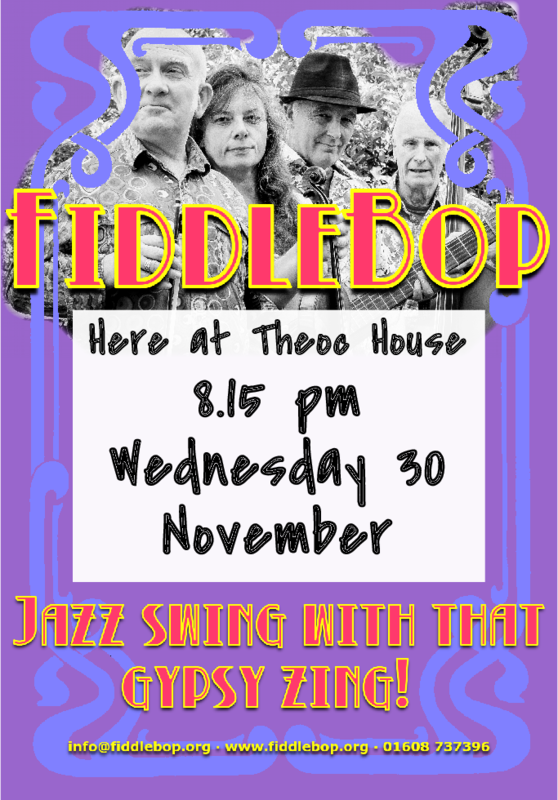 A return to marvellous Theoc House Café-Bar (85 Barton Street, Tewkesbury, Glos GL20 5PY) from 8.15 pm on Weds 30 November... We love playing at Theoc House! Then on Saturday 31 December, we'll be playing in the New Year, speakeasy-style and surrounded by dancing gangsters and their molls, at The Norman Knight (Whichford, Shipston-on-Stour, Warwicks CV36 5PE). Details are still TBA, but this one will be an absolute scorcher! Who needs summer? So... that's all for now, folks. 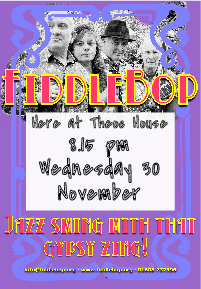 Another FiddleBop newsletter will (all being well) follow in a few weeks.All the very best to you XXXX, see you soon!